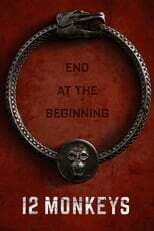 Where can you stream 12 Monkeys? On 2015-01-16 Drama/Science Fiction TV Series 12 Monkeys first aired on Syfy. Written and created by Terry Matalas & Travis Fickett, and produced by Atlas Entertainment, 12 Monkeys has ended and last broadcasted on 2018-07-06.